Originally posted on The Concussion Blog in September of 2010. I would be interested to see Taylor talk about this in a reflecting manner and see if anything has changed with him and his thoughts on concussions in the sport he loves. Just ask Taylor Twellman, a soccer player from the New England Revolution how unpredictable they are. In 2008 near the top of his game and the American leagues he ran full speed into the goal keeper, creating a whiplash effect on his body, most namely the skull. 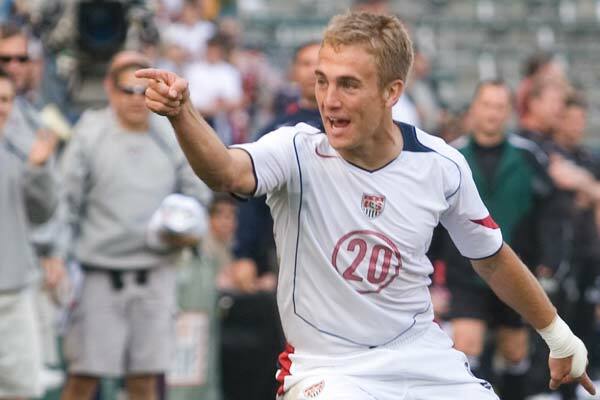 To this day Twellman has not had a single day without some post-concussive effects. He was only just recently, June, released to begin light activities. Granted this is a professional athlete that has a career to think about, his health remains his number one priority. Monique Walker of Boston.com ran a story about him and his not so quick recovery from concussion. For our adolescent population this can be even more devastating, a delay in recovery could mean a decline in grades, an emotional disconnect from teammates, and a social decline in school. All while the brain and personality are still developing. If you get your “bell-rung” make sure you communicate that with someone who can help.